TIP: Trouble signing in to MavMAIL? If you have trouble signing in - and there is a window where you can "pick an account" that's wrong, you can remove it by clicking the three vertical dots and then selecting "Forget". You will then be able to type the correct username (above). NOTE: This is different from before, now students login with your StarID@go.minnstate.edu and employees login with your StarID@minnstate.edu. Tip: to get directly here - search for MavMAIL or type mavmail.mnsu.edu in your browser! As of Friday, 12/21/2018 @ 12:00pm the migration is COMPLETE ahead of schedule. The migration has finished ahead of schedule! Email/MavMAIL and Office 365 was down from Wednesday, 12/19/2018 @ 10pm to Friday, 12/21/2018 @ 12pm. Any resources like rooms now have a MNSU- prefix to differentiate them from other colleges and universities in the state-wide Office 365 address books. 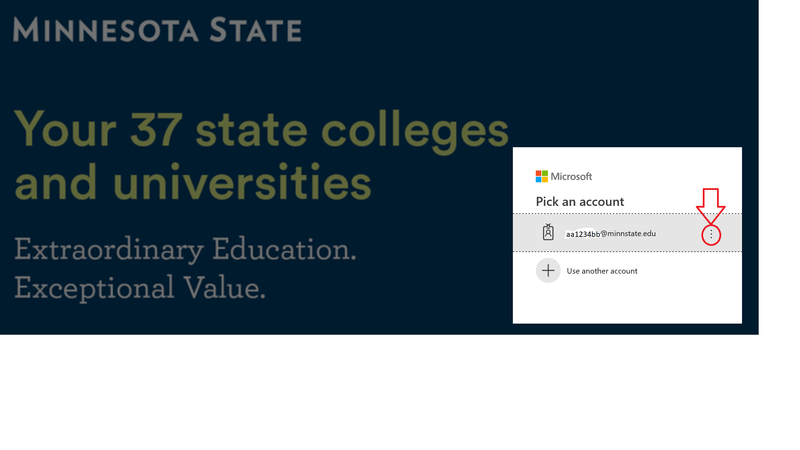 Any SharePoint, groups or Team sites now have a MNSU- prefix to differentiate them from other colleges and universities in the state-wide Office 365 environment. If you've ever been associated with another college or university, you may need to change your FROM: address. For more information please visit the Office 365 Migration page. Connect to your MavMAIL account from your smart phone. Safe Links helps prevent malware, phishing, and access to web sites that are known to be bad. Safe Attachments prevent malware sent in attachments. NOTE: MavMAIL is the official communication method for Minnesota State University, Mankato. Check MavMAIL at least once every 24 hours for critial university information and updates. Make MavMAIL easily available - set it up to sync to your smartphone! Find instructions to update your computers, phones, and tablets to the new Office 365 environment. MavMAIL and Office 365 services, apps and OneDrive storage as well as MavDISK file storage is provided to current students and employees of Minnesota State University, Mankato. Student email accounts are retained one year after transferring or leaving the University. Students who graduate are provided MavMAIL Alumni email service after graduation.